First of all, before I get a call from my mom about that post title: no, I'm not pregnant. This news is WAY bigger than that. Do you remember when I had an essay in that awesome book, I Just Want To Pee Alone? Of course you do. Well, my esteemed co-authors and I recently found out that our anthology made it onto a little something called the New York Times bestseller list. THE. NEW. YORK. TIMES. BEST. SELLER. LIST. Sorry about the all-caps, but although I haven't read the official handbook, I'm pretty sure NY Times bestselling-types are required to scream about it when they make the announcement. So, you know, I'm just trying to follow the rules. 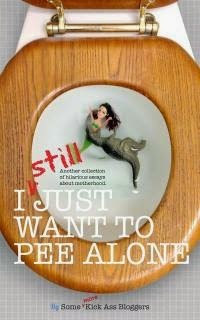 I Still Just Want To Pee Alone is being released today! Let's let Amazon talk for a second while I recover from my case of the vapors. It's Not Pee. It's You. If the idea of reading funny and heartwarming tales about motherhood (each short enough that you might actually get to finish a whole story that doesn't feature a cartoon or talking animal as the main character) doesn't appeal to you, consider this: checking out my essay in I Still Just Want To Pee Alone is pretty much the only way for you to find out how I spend my time when all my kids are out of the house. Well, unless you'd rather come over and peek in my windows, but I'd advise against that since I have pretty thick privacy curtains and also a tendency to use my mad ninja-karate skills on random lurkers. You guys are awesome. Thank you for all your support! 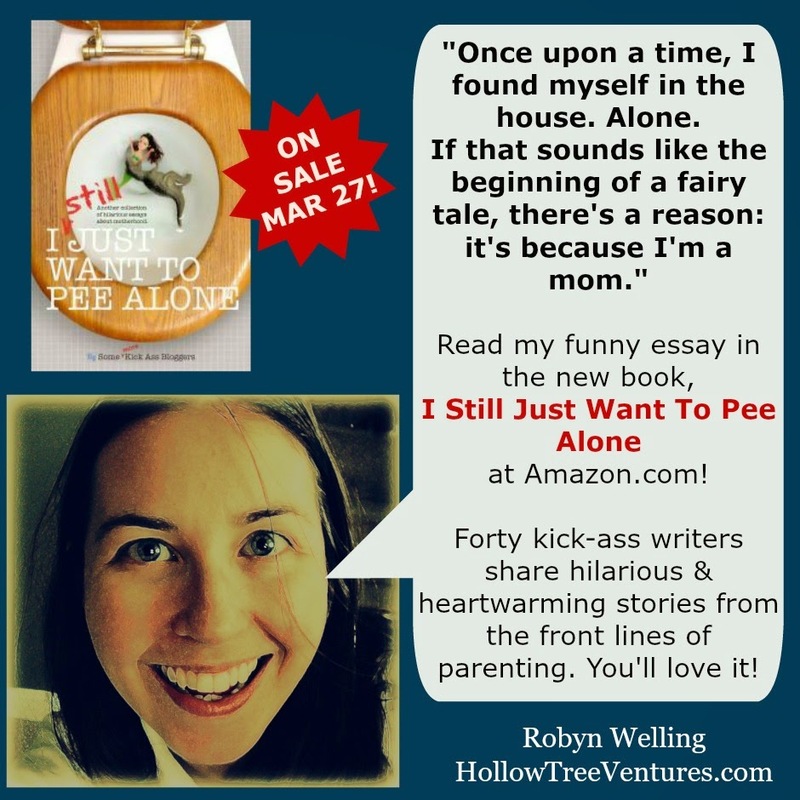 GO GET A COPY OF I STILL JUST WANT TO PEE ALONE in paperback, for your Kindle, on iTunes, or at Barnes&Noble! Ahem. But mostly that first thing, for sure. Note: You can see all my adventures in real-life paper print writing on my cleverly-titled Buy My Books page!